Now TV pass offers are our speciality here at TechRadar as we're here to find you the cheapest Now TV Box or Now TV Stick deals on the net. 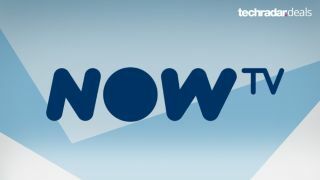 We're all over the latest Now TV voucher prices too as we compare the latest deals directly from Now TV and retailers around the UK. If you're also after broadband, Now TV has some tempting Now TV and broadband deals. On this page you'll find the latest prices on the newest hardware like the 4K-ready (for other apps at least) Now TV Smart Box 4K or the super cheap Now TV Stick - both of which now come with a voice-remote control. Or there's still some decent deals going on the older Now TV Smart Box which includes a Freeview tuner so you can watch live TV as well your Now TV subs. We’ve also searched high and low for the best Now TV pass voucher deals for new and existing members. You don't need a Now TV Stick or box though as there are apps on loads of devices like smart TVs, tablets or your PS4/Xbox One. So whether you’re looking to equip your TV with a Now TV device, or you’re just looking for a cheap way to get another few months of the service, read on for our best Now TV offers. Alternatively, have you considered a jam-packed Sky TV deal instead? Fresh Now TV offers on passes are live now, marking an ideal opportunity to check out why people are joining the excellent Now TV subscription service in droves. Chances are, you already have a device with capable of running the Now TV app (tablets, gaming consoles, Smart TV etc), but if you don't, you can get a cheap Now TV Smart Box or Now TV Stick further down this page or directly from Now TV. Most of these offers are for new members only, but you can often find other discounts by picking up Now TV passes from other retailers instead. We've added those deals to the comparison charts further down this page. And just as we thought now that we're in the hottest shopping season of the year, there's a special sale on the Now TV website, we've included highlights directly below, or you can check out the full list over there. Now's TV's Entertainment pass offers Sky's hottest TV content at a ridiculously low price and without the commitment of a long contract too. After the three months are up the pass auto-renews at £7.99 a month, but you can cancel at any time. With so many other shows to enjoy though you'll probably stick around. The current offer on this double bundle marks a saving of over 50%. So if you want one of the most up-to-date collections of movies and TV shows in the UK, this is the Now TV deal for you. Sadly it's for new customers only. This is fantastic option if you're happy to enjoy matches on your mobile phone as it's super cheap. £5.99 a month (and cancel at any time if you want) gets you access to four channels including Sky Sports Premier League, Sky Sports Arena, Sky Sports Action and Sky Sports News. Now TV has just released a long awaited update for the Now TV Smart Box, bringing a range of 4K apps into your home. We're still quite baffled at how Now TV's own content is still limited to streaming in 720p (just about HD), but apparently that'll be updated later this year. You can enjoy Netflix in 4K though, providing your paying for the top tier of that service. TV catch-up services like BBC iPlayer, All 4, ITV player and so on are also available, although you're limited HD there as catch-up channels don't stream in 4K yet anywhere. Considering you can search for items via a new voice remote that's bundled in with the Smart TV box too, the prices are very reasonable. The Now TV 4K Smart Box with the remote costs just £45.99, or you can get it with a month-long pass for Sky Cinema, Sky Entertainment and Sky Kids. And a one-day Sky Sports pass too for just £49.99. This is the cheapest hardware option for the Now TV family and excellent value at such a low price. Most purchase options from our price comparison chart now include a Now TV Entertainment or Cinema pass too to get you going. The Now TV Stick simply plugs into an HDMI slot on your TV and comes with a remote control that supports voice-commands and search too. So yes, very similar to the Amazon Fire TV Stick, but a fair bit cheaper. If you don't want it with any passes, it's currently cheapest direct from Now TV at just £14.99, although you can get it with passes there too if you want. If you want to combine your Now TV box with a freeview tuner, then the Now TV Smart Box is for you. We were impressed when we tried out the box for ourselves. It’s a great all-rounder, and consolidates your existing boxes into one neat package. Check out the best prices for the Smart Box below. If you’ve already got a Now TV box, gaming console or another device that can stream the service (such as a Roku player or a Chromecast) then all you need is a Now TV pass to get subscribed to the various streaming packages offered on the service. There are currently four passes available for Now TV; Entertainment, Sky Cinema, Kids and Sky Sports. These are available for subscription periods as short as 1 day (for Sky Sports), or as long as a month. Ironically, the cheapest way of getting your hands on cheap passes is often to get them bundled in with a Now TV box, but you can also find cheap Now TV passes available. We’ve compiled a selection of the best deals around for each pass below. The Now TV entertainment pass gets you access to Sky Atlantic shows like Westworld, Tin Star, The Blacklist, Billions and more. The three-month pass is a popular option and is generally available for around £15. It's a good option for anyone looking for discounted Now TV passes, especially as the monthly price went up by £1 back in August last year, raising the price to £7.99 a month. If you're more interested in film than television, then the Now TV Sky Cinema pass is the subscription for you. With this you'll get access to a huge quantity of movie releases, and a surprising number of them are relatively recent. We do sometimes see some seriously cheap Now TV offers for two-month entertainment passes in our comparison chart feed below. So be sure to have a quick look there too. Sky has recently rebranded a bunch of its Sky Sports channels. Gone are the numbers, instead we have names that give a better description of what they'll be showing most of the time. There are now 10 channels, that's more than before, but you don't have to pay anything extra. The refreshed lineup includes Sky Sports Premier League, Sky Sports Football (for Football League, La Liga and more), Sky Sports F1, Sky Sports Racing, Sky Sports Cricket, Sky Sports Golf, Sky Sports News and Sky Sports Mix. Other sports are covered in the two variety channels, Sky Sports Action and Sky Sports Arena. Sky Sports Main Event will be the place for the biggest live events of the day. Naturally there are some shiny new logos. At £33.99 a month, the Sky Sports pass is the most pricey of all the Now TV subscriptions. There are cheaper options though. You can get a day pass for £8.99 and a one week pass for £14.99 direct from the Now TV site. These temporary passes won't auto-renew either, so don't worry about rolling into a fresh purchase when they expire. You can also get some pass deals in the comparison chart below. At just £3.99 a month, the Kids pass is the cheapest of the Now TV subscriptions, and as such it takes some beating. As things stand, the cheapest way to get the subscription is to buy it from Now TV directly at the link below.